The art of hand knotted carpet making is passed on since generations and today we rank one of the most recognized name in the industry of Rugs and Carpet making. 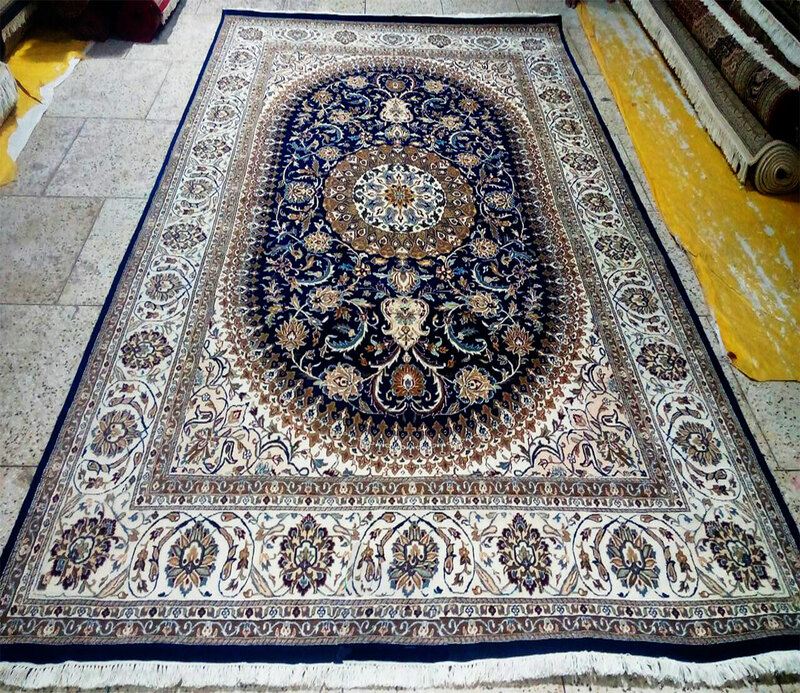 We make almost all the types of hand knotted carpets manufacturer exporter in India, which are very unique in design and is appreciated across world . Our famous hand knotted rugs and carpets design includes Persian ,Fine Afghan ,Mahi , Nain , Bokhara , Kazak , Red Afghan Aqsha , Ziegler , Isfahan , Bidzar , Chobi , Kashan, Kashmiri Lori Buft , Mashad , Nepali Tibetan , Mashad , Nepali Tibetan , Oushak , Serapi , Soumak etc and many more . Our workers and craftsman posses a high level of craftsmanship and can create any imaginable shape motiffs and designs which is unique in itself and which has a special refreshment in itself ,is crafted by hand and tying each and every note to provide it a special touch . Each design and motiff behind it has a special history .